Chad: Well this is like the third time that I've tried to get this to work, so I'll cross my fingers that third time is a charm. A couple of quick stories. While Emily's mom was here we got to do some tourist activities that we haven't been able to do within the context of our daily routines. We took Laura to a butterfly farm. 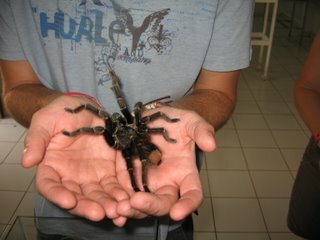 At the butterfly farm they kept a gigantic tarantula. Emily and I held it, but Laura could barely get herself to touch it. She kept trying to touch it, but everytime would jerk her hand back at the last instant and scream. It was hilarious. It reminded me of a similar instance in Mexico with my mom, but that's another story. We also went with Mike, Aileen, and Laura to los Espejillos, which are some waterfalls in the jungle by Santa Cruz. 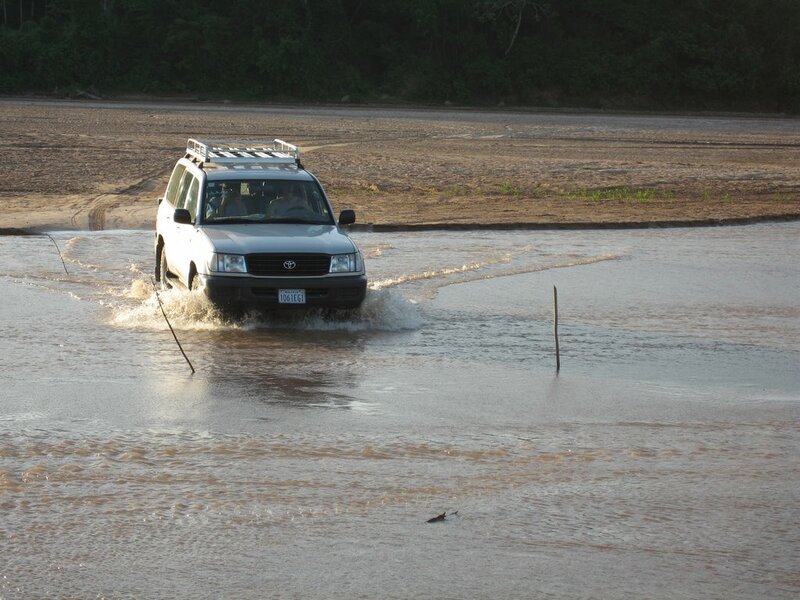 In order to get there we had to drive through a river. 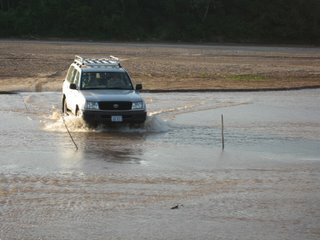 Mike and I got out and forded it to make sure that it wasn't too deep. We continued driving up into the mountainous jungle. It was incredible. We then hiked up to the waterfalls. 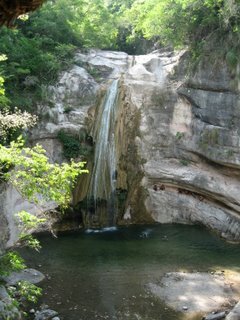 The falls cascade in several steps down the mountain creating several different pools. Unlike the mountain rivers and lakes in Montana these pools were warm. Mike and I found a ledge that was about 30 feet high to jump off into one of the pools. Aileen and Emily jumped off a lower ledge that was about 15 feet high. It was awesome. So, my roommate started yelling at me last night, and it took me a couple minutes to figure out that it was because she found your picture with the tarantula after following the link through Mike & Ai's blog. Which I had forwarded to her. Totally my fault that she's freaked out by spiders.